These are two of my favorite Wild Things. They always seem to be pal-ing around together. 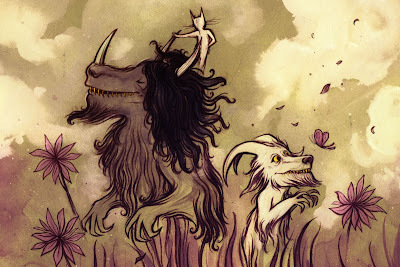 The little goat-like one is scary and I'm not sure what he's about to do that little butterfly. 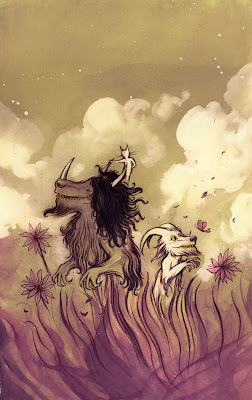 If you like, you can stop by my blog and see some of the thumbnails and roughs that led up to this piece. Thanks for stopping by! That's it for today, check back next Friday for more Terrible Yellow Eyes!